Dr. Ronit Farzam is the founder, director, and clinical supervisor at Center for Healing and Personal Growth. 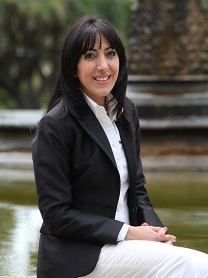 Dr. Farzam is a licensed clinical psychologist with a Ph.D. in Clinical Psychology and two Master’s Degrees in Marriage and Family Therapy and Linguistics. Dr. Farzam has written and published many articles in the area of psychology and has worked as a researcher in UCLA Cognitive Psychology Department. She is a tri-lingual therapist who has worked with a variety of populations and cultural backgrounds. She has extensive training and experience in treating individuals, couples, children and adolescents, and families in therapy as well as groups and workshops. She is a certified trauma-focused cognitive behavioral therapist and uses different approaches such as hypnosis, dream analysis, mindfulness, and coaching in her practice. Her areas of expertise: Depression, Anxiety – Phobia, Obsessive Compulsive Disorder, PTSD – Recent and Childhood Traumas, Domestic Violence, Parenting, Marital and Relationship Issues, ADHD, Self-Confidence and Self-esteem, Anger Management, Grief and Loss, and Personal Growth. Are you in a “conscious” romantic relationship?